In mid-January I had an amazing experience, and I’d like to share a little bit about it with you. 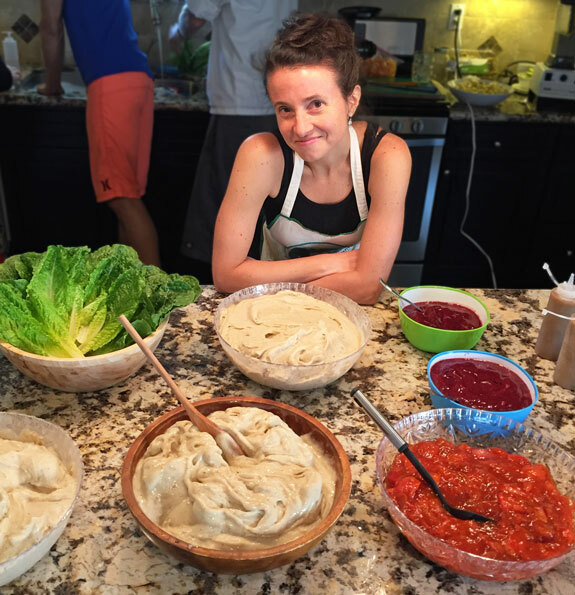 I spent four days helping out as one of the chefs at a raw vegan retreat for diabetics in Southern California, called the Mastering Diabetes Nutrition and Fitness Retreat. Your first thought when you read this might be that eating a bunch of carbohydrates, especially in the form of fruit, goes against the conventional wisdom on diabetes management. But that was exactly what was so astounding about this retreat and the immediate results that the participants saw in terms of even, normal-range blood glucose levels and increased insulin sensitivity (meaning that they didn’t have to take as much insulin as usual in order for their bodies to process the glucose they consumed). First I’ll tell you a little bit about the structure of the retreat, and then I’ll share my impressions with you, as well as some of the amazing results experienced by the participants. 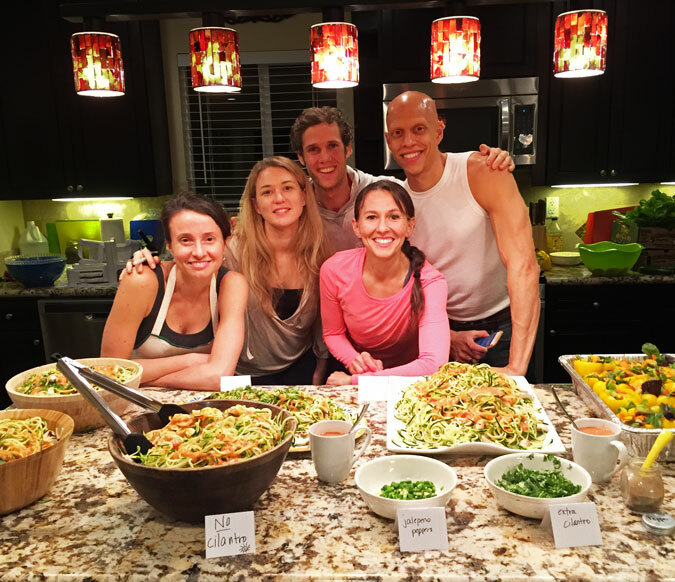 Dr. Cyrus Khambatta, PhD in Nutritional Biochemistry (aka “Mangoman”), Robby Barbaro (“Mindful Diabetic Robby”) and Jewels Christine (health coach and personal trainer), along with endocrinologist Nancy Bohannon, MD, FACP, FACE and Kylie Buckner, RN, MSN, led the event. There were 15 attendees, about half of whom had either Type 1 or Type 2 diabetes. The other half of the participants included a few individuals who were interested primarily in weight loss, and family members who were there to support their loved ones. The participants ran the gamut in terms of age and fitness level, and all were open-minded and determined to improve their health and lifestyle. We stayed in a beautiful home in Garden Grove, CA (close to Disneyland in Anaheim), which slept all 23 of us, both retreat participants and staff. For four days, we maintained a diet of entirely raw fruits and vegetables, in which 80% of calories came from whole-food carbohydrates, 10% from protein and 10% from fat, otherwise known as the 80-10-10 Diet. 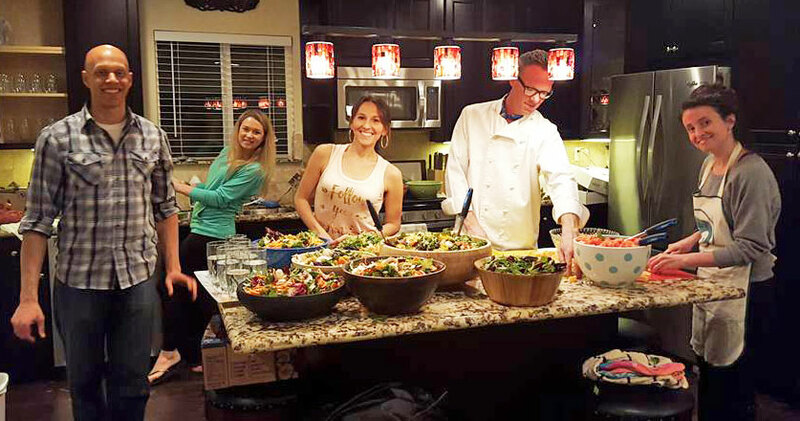 In addition to our raw vegan meals, there were two fitness sessions each day, as well as two or three health and wellness lectures. Meals were served buffet style. 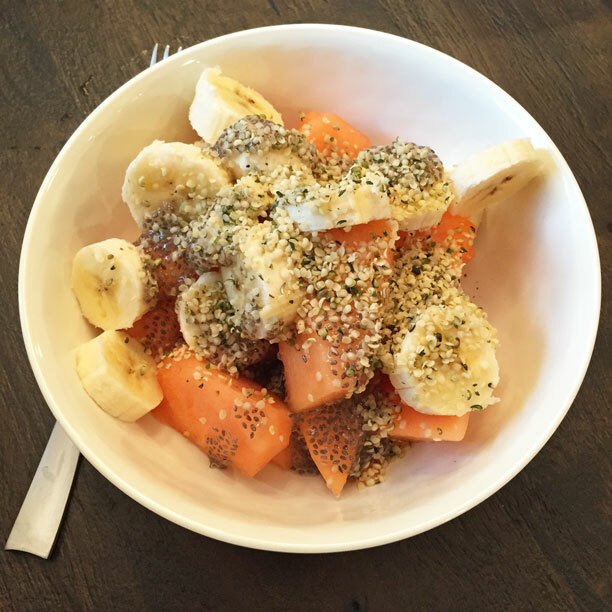 Breakfast and lunch were usually fruit heavy, such as papaya and cantaloupe, served with spices and chia seeds, or bananas and dates served in a lettuce wrap. My favorite lunch was a buffet of banana “nice cream” served with a mixed berry coulis, date sauce and mashed fresh persimmons. 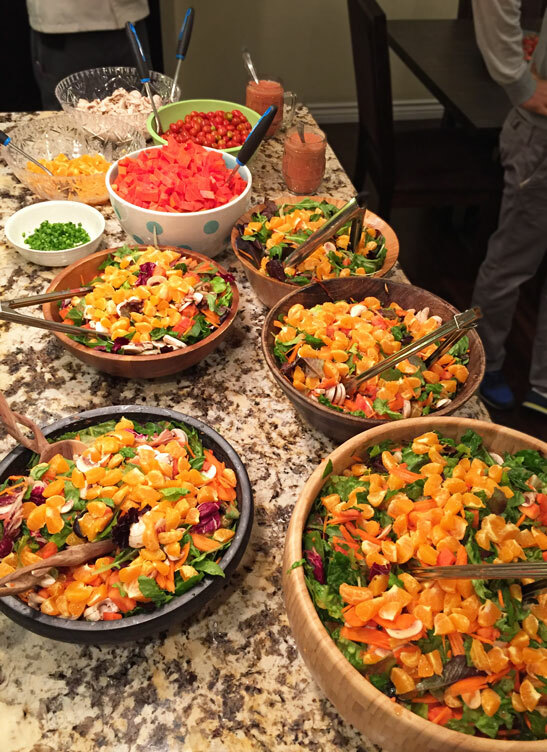 Dinners were more on the savory side, such as a salad with papaya and citrus fruit, served with a tomato-based dressing. 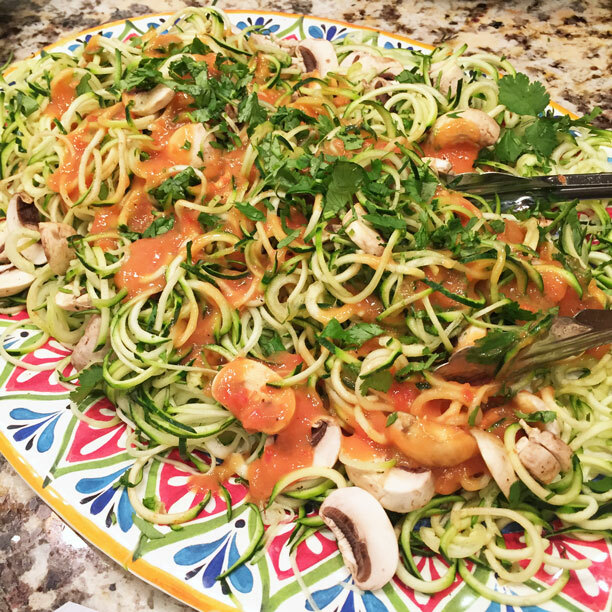 One night we used a “spiralizer” to make delicious zucchini noodles for dinner. Another day, the evening meal was broccoli slaw with a raw tomato sauce. 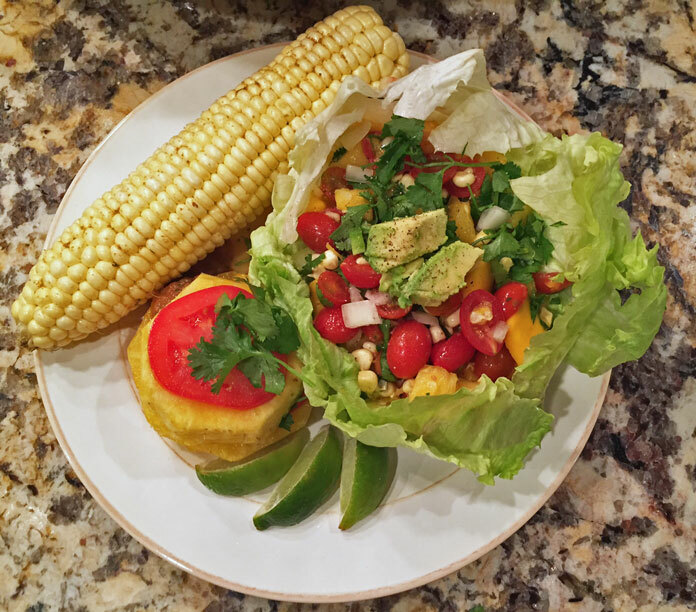 Our most popular dinner was served on the last night: Pineapple-tomato towers, raw corn-on-the-cob with cumin and lime, and iceberg lettuce wraps stuffed with a salad of grape tomatoes, chopped onion, mango, pineapple, cilantro, lime and avocado, and drizzled with an amazing tomato salsa. The idea here is to give the brain and muscles the fuel it needs: glucose. At the same time, the very low fat content of the meals means that the body’s insulin is able to do its job effectively. In other words, – and this was one of the biggest eye-opening take-aways for me – insulin resistance is caused by lipid overload in the body. As background information, insulin is a hormone produced by the pancreas to convert glucose in the blood to glycogen for use as energy, or to store it for future use. Fat prevents insulin from doing its job, to bring glucose to the muscle and liver. And when glucose stays in the blood, more insulin is required to process it. In short, when you remove most of the fat from your diet, it reduces your need for insulin. The lectures covered interesting topics such as what causes insulin resistance, the concept of intermittent fasting, tips for buying fresh produce, emotional eating, food combinations to promote digestion and controlling blood glucose when exercising, among others. On Sunday we had a special visit and inspiring live testimonial from Gerry, a Type 2 diabetic and cardiac patient whose doctor had told him he was headed directly toward a heart attack or stroke if he didn’t change his lifestyle. At the prompting of his wife and daughter, Gerry sought the help of Dr. Douglas Graham. 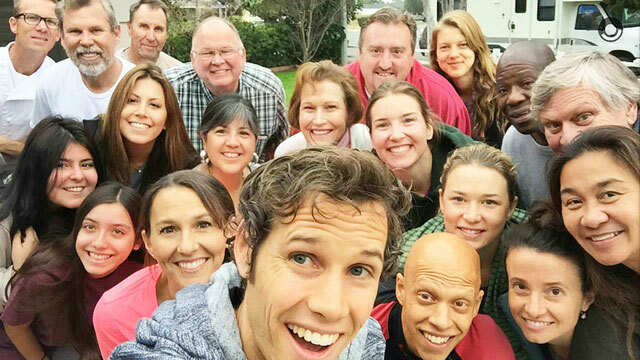 He attended a week-long retreat in Seattle last summer, where Cyrus and Robby (our retreat leaders) were assisting Dr. Graham and mentoring the patients, and it changed his life. In the six months following that retreat in Seattle, Gerry has since not only completely reversed his Type 2 diabetes, but is now also off all but one of his heart medications and has dropped over 50 pounds by following these guidelines. At one point in his story, he told us that prior to the retreat his blood glucose levels had consistently been around 250. Yet by the end of the second day of the raw vegan retreat in Seattle, his blood glucose was at 89 and he stopped taking his insulin. In the six months that followed, that level never rose above 105, and he has never had to take more insulin again. If you’d like to listen to his full story, the video is posted here, on the Mangoman Nutrition website. I highly recommend watching it, because Gerry is a delightful person, he’s an engaging speaker and his story is fascinating. And now for my own impressions. I definitely dove into this experience not knowing what to expect. My cousin Kylie and her fiancé Cyrus were part of the team leading the retreat, and they had asked me if I’d be interested in helping out, because they know I follow a plant-based diet myself and am competent in the kitchen. I accepted because I love the idea of helping people improve their health, and because I thought it would be fun to spend some quality time with my cousin, who lives across the country in San Francisco. As it turns out, this was one of those fantastic reminders of what an excellent idea it can be to step outside your comfort zone and try a new experience. Say “YES” to exciting opportunities, guys! As you can imagine, it was hard work! Feeding about 25 people three meals a day is no small job. But we had so much fun! 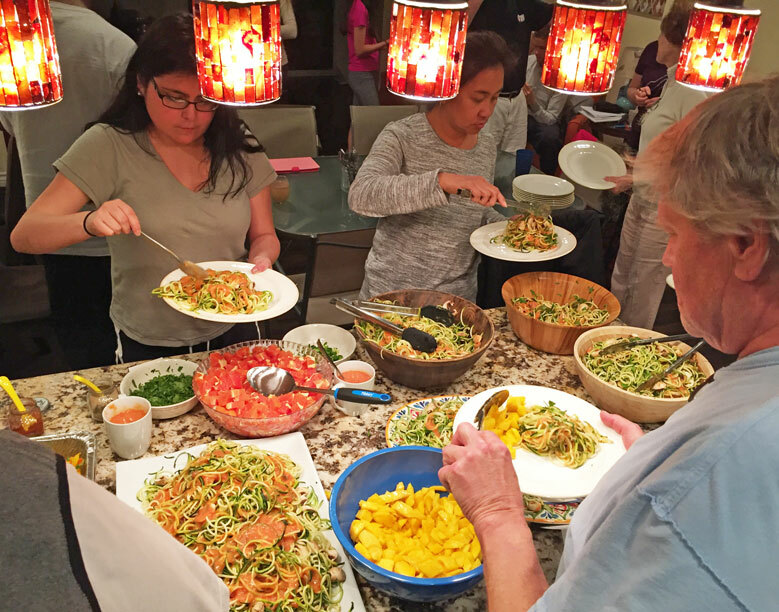 It was so satisfying seeing people enjoy their meals and – most importantly – see immediate and stunning results in terms of their health. Every single one of the diabetic participants reduced their insulin usage under the guidance of Cyrus, Robby and Dr. Nancy, and some who hadn’t seen normal blood glucose levels in years were now waking up with normal levels. All within the space of a couple of days! It’s truly eye-opening and inspiring to see how plant-based foods can help the body normalize and heal itself, almost immediately. For more specific details (including three case studies) of the results on the retreat, check out Cyrus’ write-up. Cyrus also made a little highlights video, which you can watch here. It’s instantly clear how much fun the experience was for everyone involved. If someone you care about has diabetes, I strongly urge you to share this article with them. Both Cyrus Khambatta and Robby Barbaro offer one-on-one coaching to mentor people through the transition to this lifestyle. They’re already helping several people live with more energy and vibrancy, lower insulin doses and more even, predictable blood glucose levels. As diabetics themselves, of course, they understand first-hand the frustrations of being in the dark about how to manage diabetes. I think this fact makes their services even more valuable, because they can really relate to their clients. As someone who has seen them in action, I can attest that their passion and expertise are a rare treasure, so please consider attending one of their free webinars or sending one of them an e-mail. 4 Responses to "Mastering Diabetes: An Amazing Experience"
What a wonderful experience that must have been! The food in the pictures looks so good!!! Glad many people were able to gain a wealth of information on this retreat. Diet is so important in treating Diabetes. Wow, Stefanie! What an amazing experience! 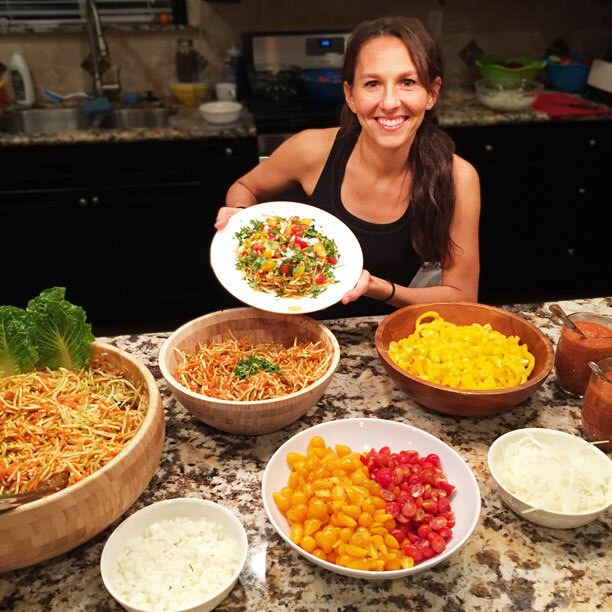 I watched a video about a raw food retreat for diabetes about six years ago, and it was one of the things that motivated me to switch to a plant-based diet. I am so glad that you jumped on this opportunity when it presented itself to you! The 80-10-10 idea is a new one to me…thank you for helping me learn! Much love.